This home is located in a desirable community of Grande Lagoon. Surrounded by Grande Lagoon, Inter coastal Waterway and ponds throughout the area. Like a lot of room?This is the home for you. 5 Bedrooms and 3 full baths. Walk into a Entrance Foyer on the lower level that has a large Family/Game Room. 2 Bedrooms that have new carpet and a full bath, that can also have access from screened in pool with new liner. Large Utility Room has access to the 960 sq.ft.oversized garage. Wood Stairs take you up to an entertainers dream. Living Room has large windows that have water views of the boat basin and the Inter coastal Water Way. The kitchen is a Chef's Dream. Granite topped Island and counters with lots of beautiful oak cabinets. French doors lead out to the 540 sq ft of wrap around Wood Deck perfect for dining, relaxing. Master Bedroom is on the other side of house with French Doors that lead out to the Wood Deck.Water views, Large walk in closet with a smaller closet. The bathroom has Double Vanities, separate shower, Jacuzzi tub for hours of relaxing time. Also on this level you will find 2 Bedrooms with a large Full Bath. The back yard is fenced in with a screened in pool, all kind of fruit trees. The subdivision offers Pier, Tennis Courts, Kids play area and picnic area. Close to Perdido Key Beaches, Naval Air Station and Shopping. Call for a showing today!! . 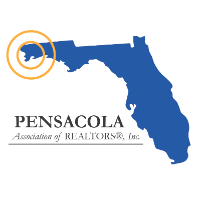 I am interested in 5505 Grande Lagoon Blvd, Pensacola, FL 32507 (Listing ID # 552369).